The Indian government has drafted a new emigration bill that revives a mandatory measure for Indians to register before going overseas to work or to study, a move that had recently faced a setback due to protests from Indian expats. The 51-page draft presented on the MEA website said the "Bill aims to ensure the welfare and protection of emigrants and proposes mandatory registration of all categories of Indian nationals proceeding for overseas employment as well as students pursuing higher studies abroad". In a note attached to the draft, the ministry argued that registration would make migration "safe, orderly and regular." It would assist Indian students and workers overseas "in times of distress and emergency." A similar compulsory measure was floated last November, by which Indians flying to 18 countries - including the UAE - would be barred from boarding their flights if they hadn't registered at least 24 hours previously. The rule was scheduled to go into effect on January 1, but its implementation was suspended following unfavourable feedback from Indians overseas. It has now re-appeared in the new draft bill. 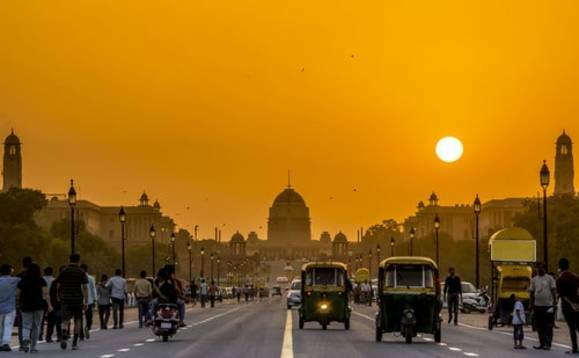 Local news outlet Gulf News had highlighted the concerns expressed by Indian expatriates after an official said that the rule would be applicable to those who are already working in these countries when they make their first visit to India after January 1. They were to register online at least 24 hours prior to flying back to their country of residence. Indian expats and community groups questioned the legality of the registration rule, under which passengers could be offloaded if they fail to comply. In case the law is established, the government may, by notification, establish a Bureau of Emigration Administration (BEA) for implementation of the provisions of this act and to ensure the welfare and protection of the emigrants. The duties of the BEA have been defined as follows: "Maintain a digitized record of Indian nationals going for overseas employment and returnees, students emigrating in pursuit of academic interest, blacklisted foreign employment agencies, fraudulent recruitment agencies, etc, and establish a shared database among concerned stakeholders in the government to maintain a comprehensive approach towards emigration."